The market is flushed with all kinds and types of cameras, each claiming to be better than the other in quality and technique. What to buy and how do you decide? First and foremost, buy according to your need. Cameras vary in their use, from surveillance to making home movies. Your need will decide which kind of camera to purchase. Comparing prices and benefits will get you the best cameras within your budget, but as to what to look out for when buying a camera is a matter of debate. Perhaps the follow pointers will be helpful in selecting your next camera. Picture quality is very important because the higher the resolution, the better the picture. While a 720p HD will give you adequate pictures, going for a security camera that has 1080p HD will give you far superior pictures. You will also be able to zoom in on the pictures and take clearer pictures, with visible descriptive features like facial details or the like. Another important detail that one must look for is the field of view (FOV) of a camera. Field of view is the width of the angle of the camera view without being moved. A numerical value, the FOV is mostly 130 degree on a normal camera. The wider the FOV is, the better the picture capture area. Motion detection is again another important thing. It is a mounting sensor on the camera that triggers the camera to start recording whenever it detects any kind of motion in its vicinity. It also sends you alerts if it catches motion in the camera view, and is especially excellent at detecting stealthy behavior. Night vision, wherein a camera is able to record and operate even in the dark, needing no external light to capture the view, is a must if the recording is done at a place and time where there is not much of light. A security camera with long night vision and multiple infrared LED sensors will lead to better night vision in the cameras. All cameras do not capture sound, but it is always better to select one that does, because it helps in determining what exactly is going on. If linked to your Smartphone or computer, one can hear in on what is happening and know what to do as a preventive action. The two way voice cameras work exceptionally well as nanny cams and cameras for doorbells. A moving camera in terms of tilting or swiveling is better for use as it will cover a wider area than the available FOV. Movements can be controlled so that the view is not restricted either way. Cameras may need to be hidden and tilting or swiveling a camera will give an excellent chance of capturing things out of hiding and then go back to hiding. 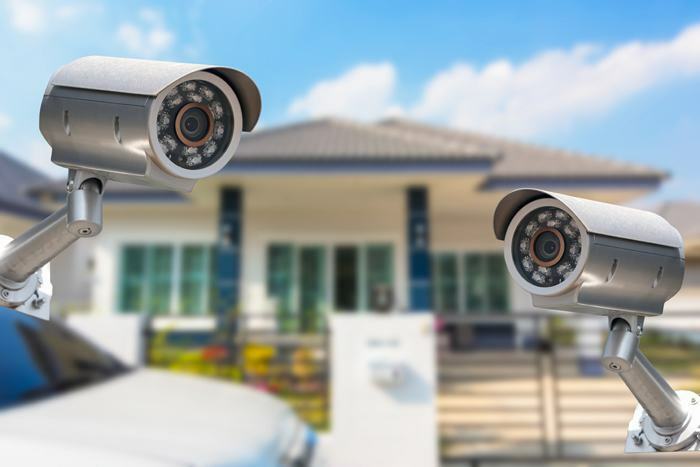 Like it or not, price will dictate what kind of security camera you will end up with as the purchase will have to fit within your budget. Budgeting may be helpful, but ultimately, an affordable camera will almost always win out.